With winter well on its way, it’s time to start thinking about what kind of projects and activities you’re going to be doing. Winter can be a difficult time to get things done, especially with low temperatures and shorter days. This is why the winter months can be a great time to get stuff done around the house. So to help you stay busy this winter, we’ve compiled a short list of some eco-friendly home improvement projects you can tackle. 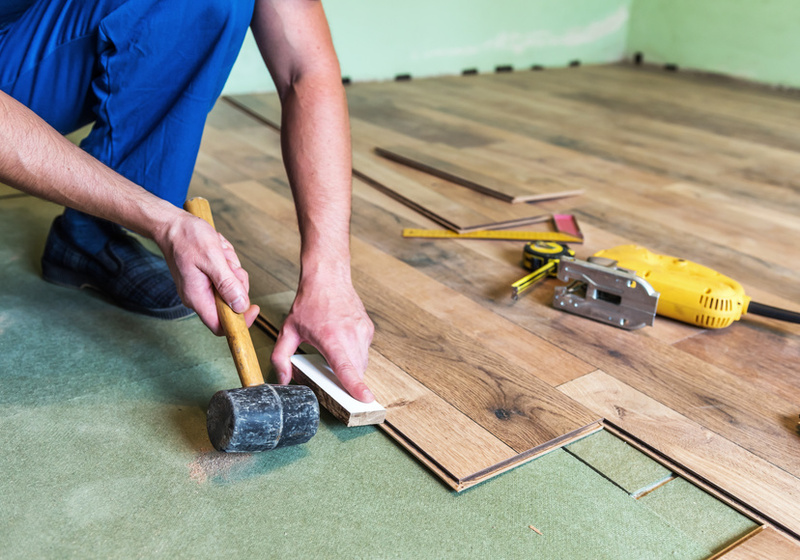 If your home’s flooring could use some attention, the winter is the perfect time to re-do it. A great option for sustainable flooring is actually carpet. While it may not seem like it, carpet can do more than keep your feet warm. Carpet is a great way to maintain temperature in your home. With carpeting in your home, you can use less heat in the colder months because the temperature will stay warmer on its own. Additionally, it can help stop heated air from escaping through the floor. And installing carpet on stairs can help reduce sound and make your stairways safer. With the American Journal of Medicine showing that more than one million Americans sustain injuries on stairs each year, it’s important to keep your family’s safety in mind too. So overall, installing carpet, particularly a non-toxic option, can be a great winter project. Basement remodeling is the perfect project for the winter months. Not only does Home Advisor show that a basement remodel can have up to a 70% ROI, it’s a great way to save energy. When your basement is left unfinished and isn’t insulated properly, you’re going to lose plenty of heat. Proper insulation is key to reducing your energy use at home. So by remodeling your basement, and choosing sustainable materials, you can save energy. Additionally, you’ll have tons of new usable space in your home. So instead of expanding your home with an addition and removing land and gardens which are important for the environment, you’re utilizing space you already have. Finishing the basement is a win-win situation because you can save energy and use sustainable materials while gaining additional space in your home. And you’ll finally have the perfect warm and cozy place to curl up in on cold winter nights. More and more homebuyers are looking for homes with energy-efficient features, particularly younger generations. And with millennials and Gen Yers accounting for 34% of home buyers in 2017, there have been immense improvements in energy-efficient options. This is especially true when it comes to water use. Nowadays, there are several ways to save water at home. So if you’re looking for something to keep you busy this winter, consider replacing your faucets and appliances with ones that help conserve water. Tankless water heaters and flow faucet aerators are great investments for any home. You could also consider installing an irrigation system. While you won’t be doing much gardening this winter, planning an irrigation system and setting it up can help capture melted snow that can help take care of your garden come spring. There are plenty of ways you can save water around your house, so consider focusing on water use this winter. It can be all too easy to catch the winter blues and not want to do anything around your house. But these simple projects can make a huge difference in how sustainable your home is and they can help keep you active and involved all winter long. Next post: Forest with 117,000+ trees can be found in…Las Vegas?